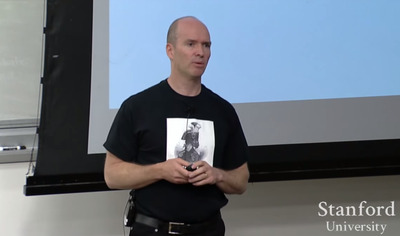 Ben Horowitz, the co-founder and general partner of Andreessen Horowitz, is one of the most experienced tech leaders in Silicon Valley. 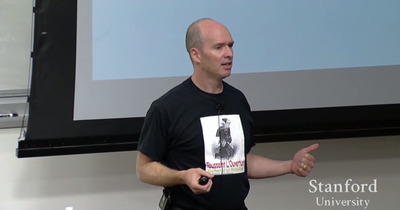 He played a major role in creating Netscape in the 90s, and was the CEO of Opsware, a company that was later sold to HP for $US1.6 billion in 2003. 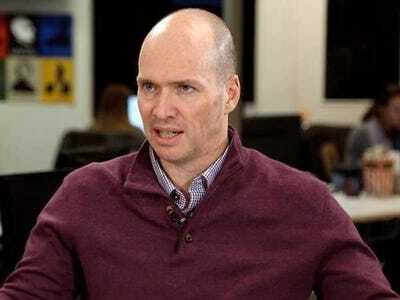 His VC firm Andreessen Horowitz has invested in some of the hottest startups, including Facebook, Twitter, Airbnb, and Lyft. With so much experience, Horowitz has many interesting stories to tell, which he often shares through his personal blog. 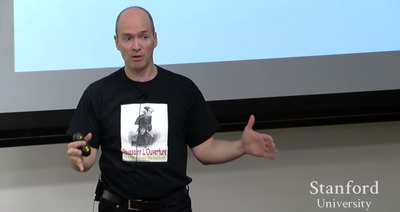 He even published a book titled, “The Hard Thing About Hard Things,” based on his own experience. 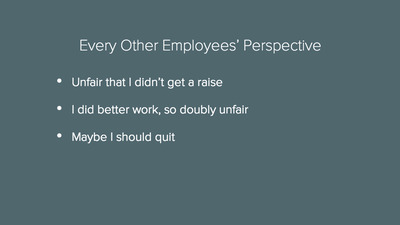 We pulled out some of the slides from Horowitz’s presentation and put together his advice on how to deal with employee demotion and what to do when someone asks for a raise. 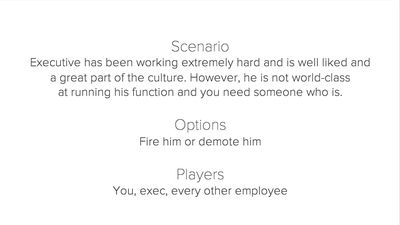 For example: How do you whether to demote or fire someone? For instance, what do you do when you have an executive who works hard and is well-liked, but doesn't have the skills to take your company to the next level? 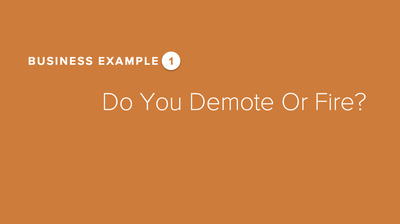 Demote or fire? 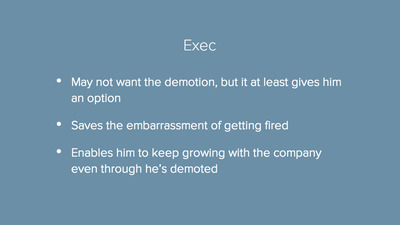 From the executive's perspective, a demotion is good in the sense that it enables him to keep growing with the company, while not feeling as embarrassed as he would if he'd been fired. But the big question is: 'What's the equity package this executive has?' 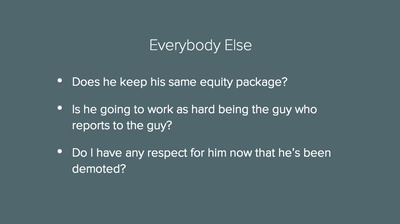 For example, should he still own 1.5% equity like other senior executives, or should you drop it down to 0.4% like other engineers, now that he's been demoted? 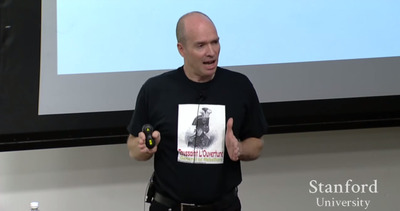 So while you may think you're dealing with one person, what you're really showing is a) what it means to fail on your job and b) what is required to maintain your equity. 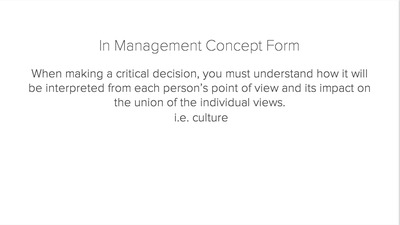 You've got to understand what it's going to mean to the rest of the employees, not just that one single executive. 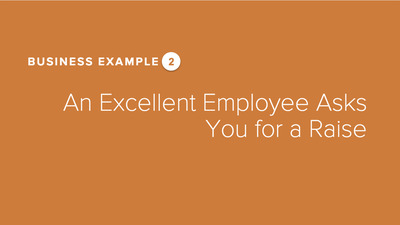 Example 2: What do you do when an excellent employee asks for a raise? 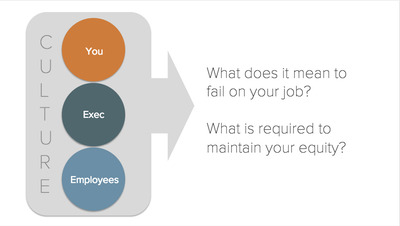 You want to retain that employee, and you also want to be fair. 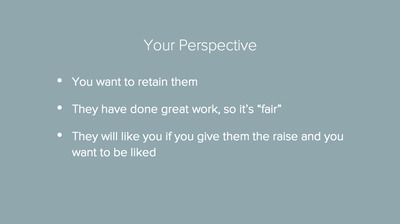 Plus, you know you'll be liked if you give that raise. 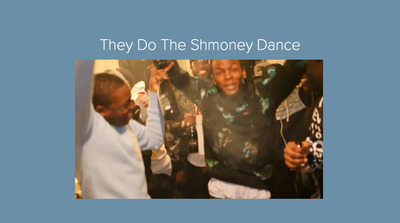 How would the employee react to a raise? For him to get to the point of asking for a raise, he probably would have thought about it a lot. So if you give the raise, he'll feel very proud and happy about it. This is the likely reaction. 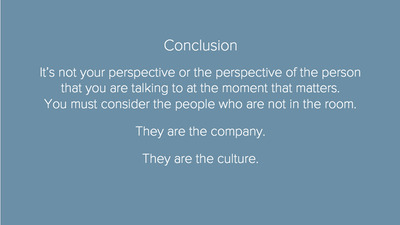 So you might be sending the message that you're not evaluating people properly. You're saying whoever asks, gets it. 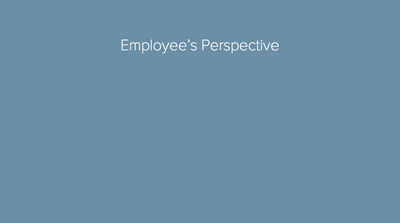 The employee who didn't ask for a raise may even want to quit and go to a company that evaluates properly. He'll feel pretty upset about it. 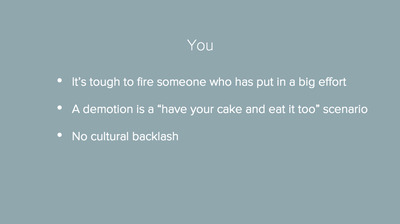 Because with a formal process, you're saying, 'I'm not going to give you a raise, but I'm happy to hear your story. I'll talk to all the people you work with and get an understanding to evaluate all the work that you've done.' And you're saying you'll only do it periodically, not daily. There's one process and that's it. 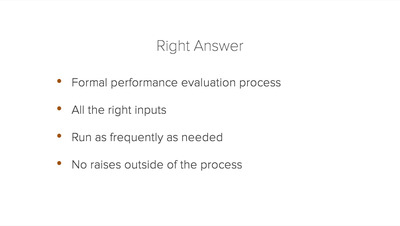 'Having a process like that, basically gets people to be more comfortable.' Employees don't have to worry about missing out on a raise opportunity, because they know your process. 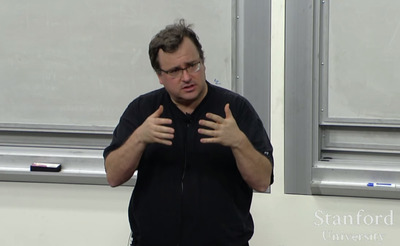 Here's Reid Hoffman's advice on being a great company founder!